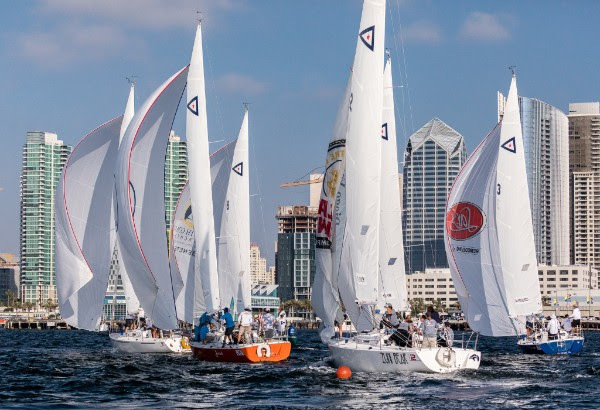 Twelve yacht clubs will compete in San Diego Bay’s spectacular sailing venue. SAN DIEGO — Sir Thomas Lipton Cup Challenge, a popular sailing regatta celebrating 104 years in San Diego, is set to return on Oct. 26. San Diego Yacht Club, the prevailing champions from 2017’s Lipton Cup, will host the 104th event. From Oct. 26-28, 12 races will be held in San Diego Bay. Sailing teams will compete in the series of J/105s with an arena for spectators to watch. Twelve teams have confirmed they will be participating this year: Balboa Yacht Club, California Yacht Club, Coronado Yacht Club, Chicago Yacht Club, Long Beach Yacht Club, New York Yacht Club, Newport Harbor Yacht Club, San Francisco Yacht Club, Southwestern Yacht Club, St. Francis Yacht Club and San Diego YC. At last year’s race, San Diego Yacht Club won followed closely by second- and third-place winners Newport and San Francisco yacht clubs. The Notice of Race can be found on San Diego YC’s official website. To learn more about the event, view the website at sdyc.org/liptoncup or email questions to Chair Alli Bell at liptoncup@sdyc.com. Twitter users can follow the race @sdyc1886 and use the hashtag #SDYCLiptonCup to interact with fellow followers.